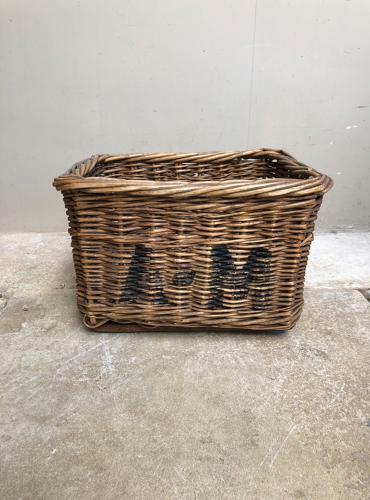 The sweetest size...very strong Edwardian Grocers Basket. Hand holes in the sides to carry. Wooden Slats on the Base for extra strength. Lovely condition. AM to the front on one side.